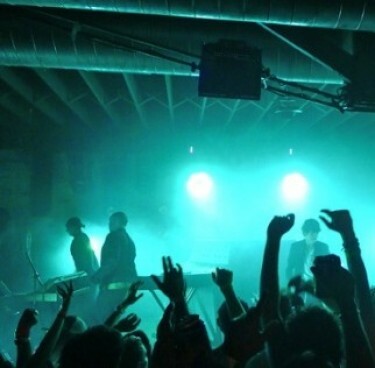 ANBAD is still recuperating from a few weeks of madness working at the brilliant Hype Hotel in Austin, Texas for SXSW. Below is an article that was written in small nibbles in between the delirious hours of work and snatched morsels of sleep. The contents may not be true in the cold light of day, but it’s (almost) worth preserving for posterity (or a reminder of what happens when sleep becomes a disposable luxury). 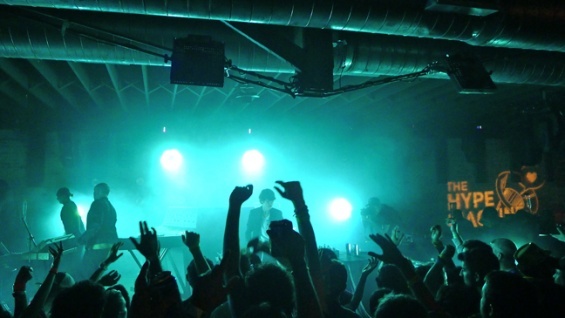 Whilst experiencing SXSW’s dubious and multifrious charms at the actually fabulous Hype Hotel, it became clear that not all experiences in town were as soul-nourishing as those found at my place of work. Attending SXSW is both exhilarating and fun, but mainly, it’s expensive and arduous: if you can afford to get there, you probably can’t afford to sleep there, leaving your only real refuge in the heavily-branded bars that will give you a free beer in exchange for your email address/twitter name/another sliver of your soul. Obviously, you don’t go to SXSW with the same expectations as when attending the V Festival, but still, the image sold – in the UK at least – of the World Capitol Of New Music is a little different to reality. Your first job is to maximise the branding potential of each area of your home. Don’t worry about the relevance of the sponsor you attach – feel free to bolt a Castrol GTX logo onto your toilet (theme bar) and McDonalds’ golden arches above your TV (your audio-visual VJ arena). Hire people to who have no qualms in ‘pushing’ the merits of your brand’s ‘outreach programme’ to disinterested drunks who are feigning indifference just long enough to get free corn dogs or drink tokens. Wristwear: you must of course wrap a bewildering array of too-tight plastic bands around both wrists, allowing you entry to the various ‘parties’ (rooms in your house). The truly committed party-goers can be identified by their distended purple digits, as circulation to the hands is slowly strangled by each additional band. Make sure that when shopping for food, your add at least two painful ‘SXSW Dollars’ to the price, and hunker down in your nearest litter-strewn gutter to eat it. For added authenticity, encourage gap-toothed homeless people to noisily harangue you for leftovers before you’ve even taken your first bite. Smugly book a series of marginally obscure, unsmiling bands whose mere existence allow you the opportunity to trick you and your guests into thinking they are new discoveries; when in fact they have watertight six-record deals and lawyers who provide 12-page contract riders demanding vegan hummous as a matter of course. Make sure at least half of the bands dress like mentally deficient children who have spent their lifetime locked inside their grandparent’s wardrobe, and can see no reason for the sniggering that follows them around. Take care to see that the bands have an understandable lack of enthusiasm: after all, their job is to write songs every now and again, play a few 25-minute sets and then soak up the resulting undeserved adulation. Hook their instruments up to a soundsystem staffed by overworked and cynical sound techs: people who, having spent years teasing a clear, professional sound from the stage, are instantly undermined by bands’ insistence that they drown all the instruments, drums and vocals with ‘as much reverb as possible’. For the truest SXSW experience, arrange for 500 people to stand in a long, immobile line in front of your front door under the beating sun. Allow your already-agonising progress to be halted by a drunken, indignant trustafarian at the head of the queue who insists he knows one of the bands and was promised he could totally come in without a wristband, yeah? Finally, and most crucially, never refer to the festival as “South by South West”. It is “South By”. No exceptions. If you are writing an email, “SX” is always simpler and preferable to the long-winded “SXSW”. Posted on March 25, 2012 by Joe Sparrow. This entry was posted in Featured, Featured Articles, Headline. Bookmark the permalink. Mujuice: We Found Noise In A Hopeless Place | A New Band A Day! Sounds like you had… fun? Maybe it would be worth heading to NXNE (or should that be NX) in June as a compare/contrast exercise. I had a lovely time there 2 years ago. Despite my protestations above, it was a huge amount of fun, albeit fun with major sponsorship from well-known multinational brands. It was kind of like Glastonbury on concrete with endless queues… if you picked your gigs/venues smartly there was a lot of good stuff going on. Although from a New Band point of view, I’d not recommend spending the huge amount of money it takes to go and play gigs there. If you do go to NX, I’m sure the wife would be more than happy to share hints and tips on where to stay/ where to go/ what to see. As I’ve said a million times, SX(SW) is something to be endured, not enjoyed. Find the same talent next door at your friend’s garage or down the street at the numerous non-SOUTH BY SOUTHWEST venues sporting no cover and better beer. ANBAD’s SCATTER-GUN REVIEW OF 2012 | A New Band A Day! The True Value Of Totally Free: SXSW 2013 | A New Band A Day!